Music, art and culture are central to the work of building the Poor People’s Campaign: A National Call for Moral Revival and are essential for moving people’s hearts and minds. Song is one of the most powerful ways we have to unite people across difference, help share the message of a movement and build a collective identity. Movement music can help build confidence and courage in challenging situations, and help shape the atmosphere and set the stage for the spirit to transform our communities and our actions. 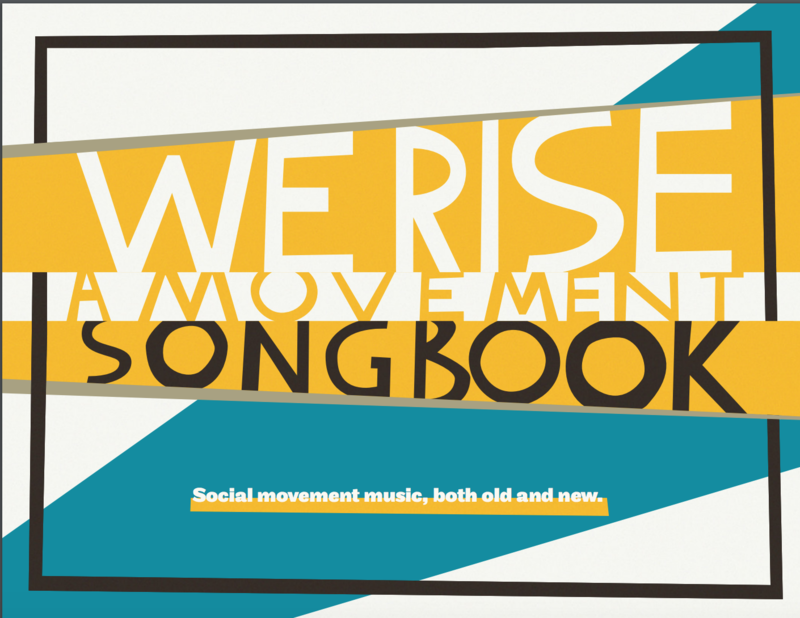 We Rise: A Movement Songbook draws on a rich history of social movement music, both old and new. From Spirituals to Labor songs, from Freedom Songs of the Civil Rights Movement to the music rising up from our struggles today, this compilation of movement music is meant to give people ways to join. To remember. To affirm. To honor. To rage. To celebrate. To practice new ways of being in relationship with one another and the earth. To envision and create a world that is just and habitable for future generations. We offer this songbook as a gift to the movement in hopes that the practice of raising our voices together will enable us to honor our pasts, learn from one another, and begin to envision a just society where Everybody and Being has a Right to Live.